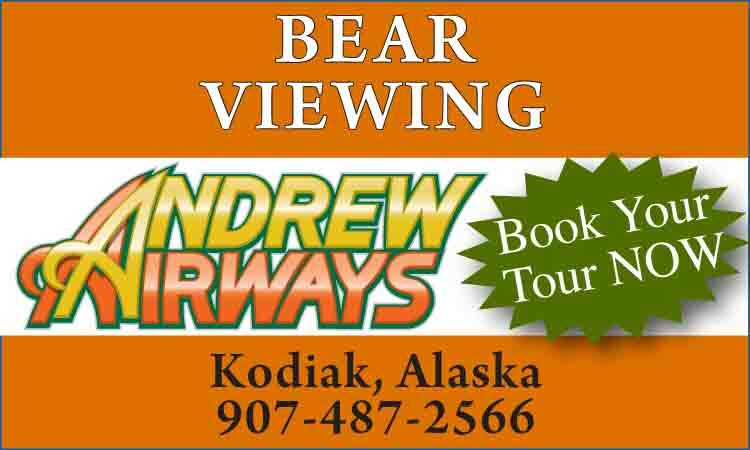 Location: Access by rail, sea, air or by the Portage Glacier Highway; 45 road miles from Anchorage; 12 rail miles from Portage; Alaska Marine Highway “Fast Ferry” service between Valdez, Cordova and Whittier. Population: 222. 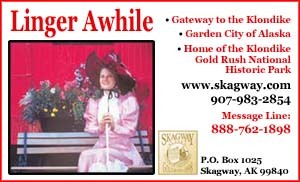 Visitor Information: City of Whittier; Phone (907) 472-2327. The city of Whittier, fondly referred to as “the strangest town in Alaska,” is an historical landmark established by the US Army during World War II. The Whittier railroad to Portage was completed in 1943 and became the primary debarkation point for cargo, troops and families of the Alaska Command. The military remained active in the area until 1960 at which time the total population was 1,200. 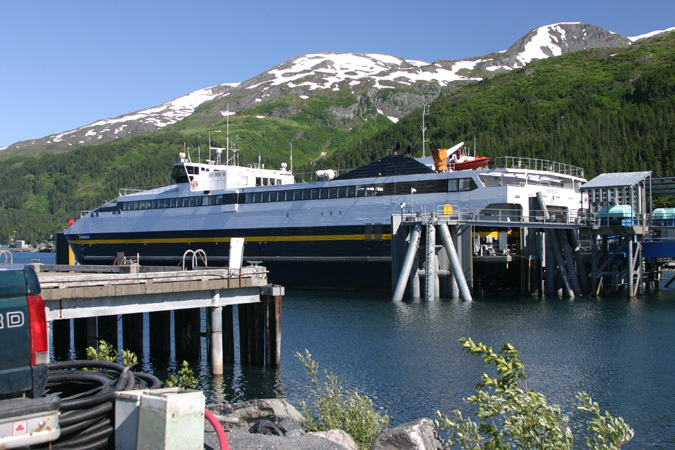 Today, fewer than 300 people reside in the town, supporting the Alaska State Ferry, Alaska Hydro Train, tank farm, small boat harbor and tourism. 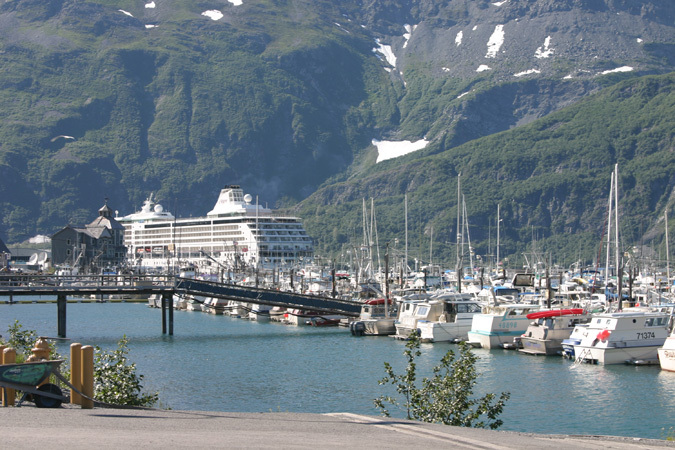 Whittier can be accessed on the Alaska Marine Highway from Valdez, with Princess Tours Motorcoach from Anchorage or by driving the Portage Glacier Highway. The town also has an 1100-foot gravel airstrip and 350-slip small boat harbor. 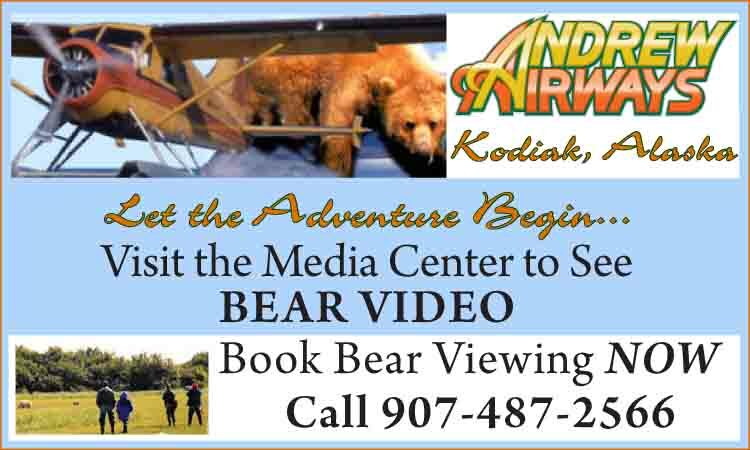 Wildlife viewing is an attraction which includes many varieties of birds, sea otters, seals, whales, sea lions, porpoises, mountain goats, deer and bear. The area is a photographer’s paradise offering stunning views of glaciers and waterfalls. 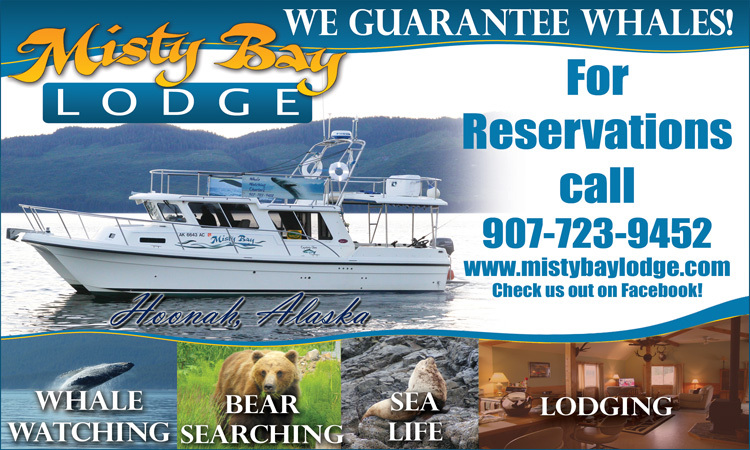 Kayak rentals and sightseeing cruises through Prince William Sound are available in Whittier. Charter boat operators and private fishing boats can be located at the small boat harbor. 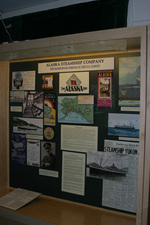 The Prince William Sound Museum opened in 2005 with exhibits showcasing the history of Whittier, Anton Anderson Memorial Tunnel, Alaska Railroad, Alaska Steamship Company, World War II and the Cold War in Alaska. Located in the Anchor Store Building in downtown Whittier, the Museum is open every day and invites the public to view a tribute to Alaska’s legends. Whittier offers public and RV campgrounds, picnic areas, groceries/fishing supplies, motels, laundromat, gasoline, restaurants and gift shops. Visitors enjoy the many hiking trails for berry picking, bird and wildlife watching. The Anton Anderson Memorial Tunnel opened to highway traffic in June of 2000 and for the first time, both automobile and trains traveled through this 2.5-mile tunnel to Whittier. Opening the tunnel fulfilled Alaska’s long held vision of better access to Whittier and beautiful Prince William Sound. The renovation of the Anton Anderson Memorial Tunnel was a landmark effort. It is the longest highway tunnel and the longest combined rail-highway use tunnel in North America. It is the first tunnel in the United States to use both jet and portal fans in its ventilation system and the first tunnel with a computerized traffic-control system to regulate both rail and highway traffic. In addition, the tunnel is designed to operate in temperatures down to -40˚ F and in winds up to 150 mph. Because it is a one-way tunnel that accommodates both vehicles and trains, vehicles have to wait their turn to go through. Much like the Alaska Marine Highway System, a staging area is used at both ends of the tunnel for vehicles to line up for the next change of directions. In general, only a 15-minute period is required. Times noted on the schedule indicate when vehicles will be released from a particular staging area. The tunnel has daily operating hours and a toll fee is charged. The 2004 opening of the tunnel to pedestrian traffic attracted nearly 500 people, a large crowd for a town of several hundred residents! 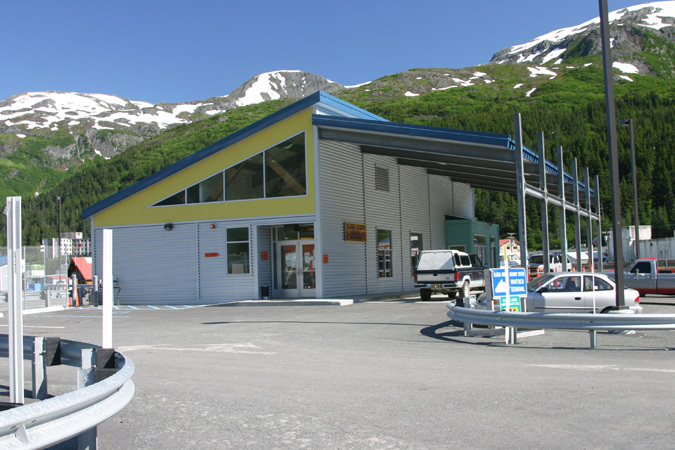 For information on hours and restrictions, call Tunnel Information at (907) 566-2244 in Anchorage or toll free (877) 611-2586, or listen to AM 530 radio in Whittier or AM 1610 in Portage. Website: www.dot.state.ak.us/whittiertunnel.